In October 2013 a host of funny, engaging, inspiring and brilliant women scientists and science communicators descended on Imperial College London for Ada Lovelace Day Live, an evening celebrating women in Science, Technology, Engineering and Maths (STEM). 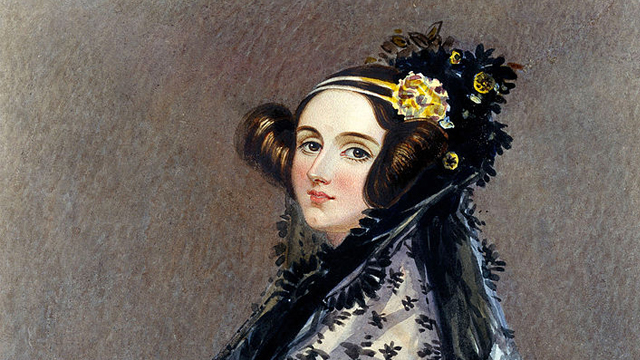 Ada Lovelace Day Live was the highlight of a series of worldwide events held in honour of Ada Lovelace Day, which is devoted to fantastic women in science. The evening began with introductions from Professor James Stirling, Provost of Imperial College and Suw Charman-Anderson, founder of Ada Lovelace Day. TV presenter and ‘science translator’ Fran Scott kicked things off by conducting a thrilling ‘do not try this at home’ experiment involving a Van de Graaff generator and hydrogen bottle rockets. Helen Arney also took a break from compering to serenade us with a comic song about cryogenically freezing her significant other. We heard from inspirational leading female scientists; Imperial College’s own Professor Molly Stevens and Dr Bernadette Byrne talked about their ground breaking research in bioengineering and molecular membrane biology. Cognitive neuroscientist Professor Sophie Scott also delivered a comical ten minutes on her research into the science of laughter. On the subject of women in science, engineer and MP Chi Onwurah talked about the benefits of having more women in STEM, whereas technologist and broadcaster Leila Johnston explored why so many women, including herself, find STEM fascinating. For me, it was geologist Hazel Gibson’s talk that was the most moving. She told the story of 19th Century Mary Anning, Lyme Regis’ most prolific fossil hunter. In spite of finding many fossils, including the world’s first ichthyosaur, Mary never once got credit for her discoveries. The fossils were reported and named by the wealthy gentlemen that bought the fossils from her. Now it seems the tide has turned, a new pterosaur fossil found on the Isle of Wight by nine year old Daisy Morris has been named Vectidraco Daisymorrisae. It is thanks to initiatives like Ada Lovelace Day that women in science are beginning to get the recognition they deserve – we now have the right to name our own fossils. Ada Lovelace Day Live was an amazing way to celebrate women in science and I will definitely be there next year. This review originally appeared on I, Science. Ada Lovelace Day Live took place in the Great Hall, Imperial College London on 15 October 2013.